These bags are available in uniform sizes and have d cut at the top to hold the bags. These types of bags can be found at our homes very easily. 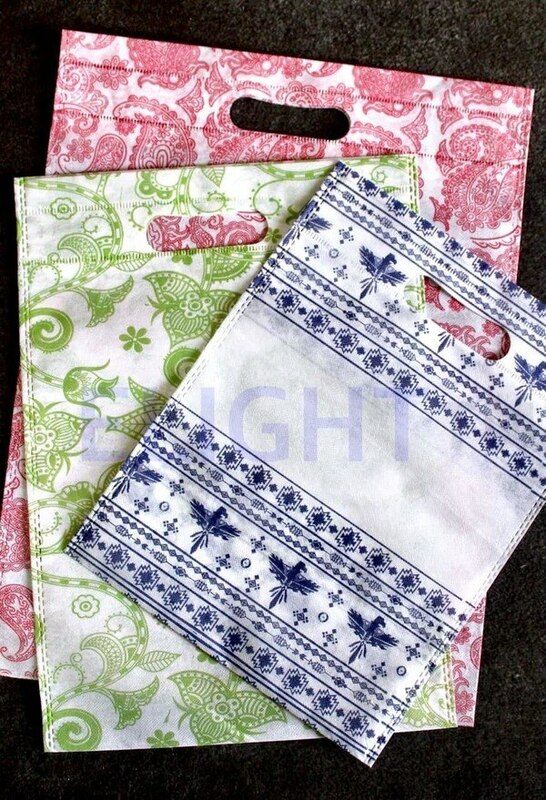 D cut bags made out of non woven fabrics are water resistant and does not break/ tier easily. The bags are manufactured using high grade raw material and the size of the bags can be altered according to the specifications made by the client. The material used in these bags is polypropylene. They are used as carry bags for shopping, packaging and other promotional items. These bags are available with perfect stitching and are easily washable. They are stylish to look at and easy to carry. D Cut Non Woven Bags In Delhi Ncr Non Woven D Cut Bags In Delhi Ncr Printed D Cut Non Woven Bags In Delhi Ncr India Non Woven D Cut Bags In Gurgaon Haryana Non Woven D Cut Bags In Ghazibad Uttar Pradesh D Cut Non Woven Bags In Noida Printed Non Woven D Cut Bags In Faridabad D Cut Non Woven Bags In Sonipat Haryana D Cut Non Woven Bags In Agra Non Woven D Cut Bags In Jaipur Rajasthan D Cut Non Woven Bags In Sonipat Haryana D cUt Non Woven Bags In Bihar Chhhatisgarh Patna Non Woven D Cut Bags In Indore Madhya Pradesh NOn Woven D cUt Bags In Rajkot Gujarat D cUt Non Woven Bags In Kolkata West Bengal D cUt Non Woven Bags In Chennai Coimbatore Tamil Nadu.